Author of books on plants and gardening. Owner of the famous Old Nectar Homestead and Garden in Stellenbosch. 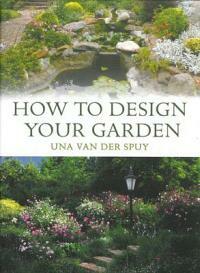 "Una van der Spuy was the doyenne of the South African horticultural world. She was the creator and owner of Old Nectar, acclaimed internationally as one of the most beautiful gardens in the world; she wrote 20 books and countless publications; she was honoured by one award after another; a rose was named after her; and by taking tours round her garden, she raised thousands for various charities." 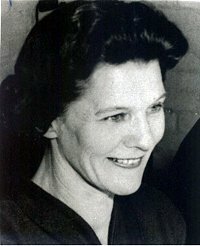 Una Dorothy van der Spuy was born on 20 July 1912 at East London, South Africa. Until the age of nine years she lived on a farm in the Stutterheim district. She then started school in King Williams Town (Bisho) and matriculated there in 1928, after which she studied at Rhodes University, Grahamstown, and later with Unisa. Her subjects were Economics and International Politics, with the objective of, at some future date, making a career in politics. From 1938 to 1941, (during the first part of World War II) she lived in London and experienced the trauma of the bombing, both with incendiaries and high explosives. She returned to South Africa in 1941 and she and her husband, General K.R. 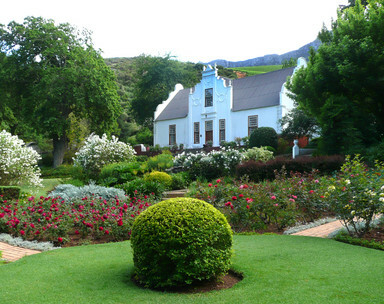 van der Spuy C.B.E., M.C., bought the property Old Nectar, an old Cape Dutch House with a few hectares of ground. As there was no garden she immediately set about trying to create one worthy of the house. In this, despite having no knowledge of plants when she started, she succeeded admirably, as the garden in due course was declared a National Monument, the only private garden to have been thus honoured to date. From 1950 she has opened the garden each spring to raise funds for various charities and it has become well-known and featured in magazines and books in many countries of the world. Ten years after she arrived at Old Nectar Una started contributing gardening articles to magazines and a few years later she wrote her first book, Gardening in Southern Africa. In order to illustrate her books she learned photography and, over a period oft 12 years, she took about 10 000 pictures of flowers in order to produce pictures of good enough quality to use in the books. For many years she was active in the field of conservation and preservation, particularly with regard to old buildings which were being demolished at an alarming rate. In 1992 the Cape Tercentenary Foundation made an Award of Merit to her for outstanding services to Conservation in the Cape. Una also received a medal from the Nurserymen's Association for Meritorious Service to Horticulture". In 2012 she was a recipient of the South African Garden Industries Council Honours Roll. She had three sons: Anthony, Peter and David. Una's latest book, My Favourite Plants, appeared shortly after her death in 2012. Her son Peter, who helped with the proof-reading, said it is the best of her three most recent books.